Settlers, protected by Israeli forces, Friday attacked farmers from al-Asakreh village, east of Bethlehem and prevented them from cultivating their lands. 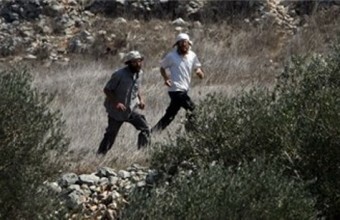 The head of Tkou' municipality, Tayseer Abu Mufreh told the Palestinian official news agency WAFA that a number of settlers attacked farmers while they were cultivating their lands in al-Ghuzlan area adjacent to Tqou' settlement, and assaulted them. 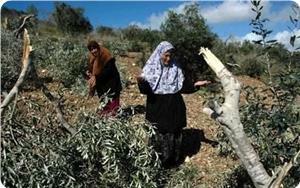 The settlers also prevented them from continuing to plant olive seedlings in their lands. He added that the settlers uprooted some of the seedlings that were planted and that the Israeli soldiers forced the land owners to leave and declare it a closed military area. Abu Mufreh said that settlers assaulted few days ago a number of farmers in the same area and prevented them from cultivating their land. A number of extremist Israeli settlers invaded Palestinian olive orchards, north of the central West Bank city of Ramallah, and uprooted more than 700 saplings. 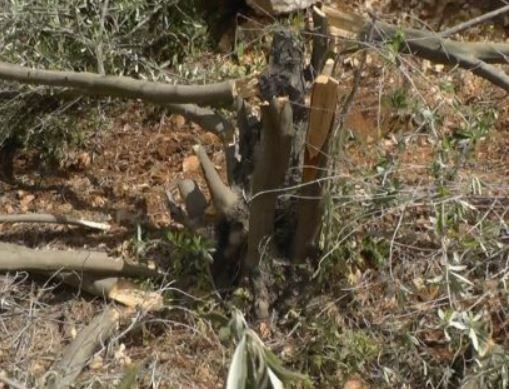 Resident Awad Abu Samra, told the WAFA News Agency that that settlers invaded the al-Zahrat area, close to the Tormos Ayya town north of Ramallah, uprooted the saplings, and stole them. The settlers apparently came from the “Eddy 'Aad” nearby illegal settlement outpost, built on Palestinian lands that belong to Qaryout villagers, south of Nablus. Abu Samra added that the villagers even found the ID card of one of the settlers in the orchard, likely fell from him during the attack. Abu Samra further stated that the attack is the second in less than three weeks, when the settlers uprooted more than 450 saplings planted as part of a project supervised by the Palestinian Ministry of Agriculture. 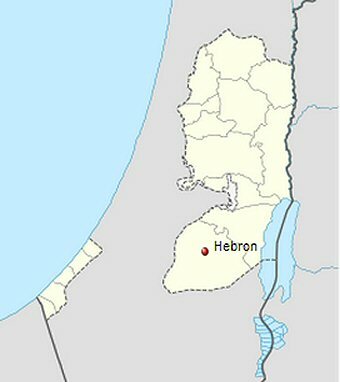 Israeli forces prevented, Saturday, anti-settlement activists from planting olive saplings in the villages located to the east of Yatta, in the Hebron district, according to a local official. 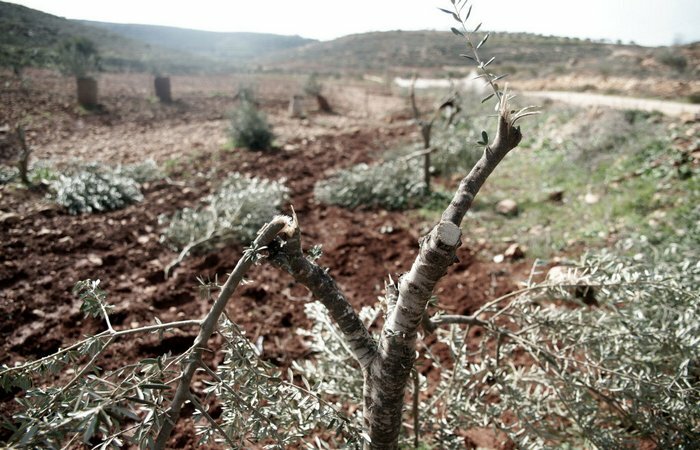 Activists from the Popular Campaign against the Wall and Settlements, as well as the Palestinian Farmers Union, were prevented from planting olive saplings in Sussiya and nearby areas, according to Jihad Nawajeh, head of the Sussiya local council. He told WAFA that, even though the Israeli military has declared the area a close military zone to prevent farmers and land owners from reaching their land, the anti-settlement activists have succeeded in reaching the land, after getting into a fist fight with the settlers, who tried to force them out of the land. Nawajeh said that they would continue to plant olive saplings in lands threatened with confiscation by settlers, who regularly cut trees and steal Palestinian land in order to expand illegal settlements. 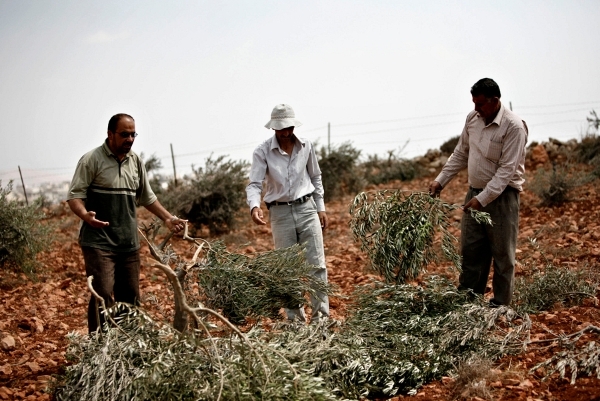 Israeli settlers Wednesday cut down around 150 olive trees belonging to Palestinians in Yatta, a town to the south of Hebron, according to a local activist. Ratib Jabbour, the Coordinator of the Popular and National Committees against Wall and Settlement in south Hebron, told WAFA that Israeli settlers from the settlement of Susiya, built illegally on Yatta land, raided a 10-dunum of land and cut down around 150 olive trees. Deputy Mayor of Yatta, Jamal Bhais, said that these aggressive Israeli actions coincide with the ongoing Israeli settlers’ attacks against the Palestinian shepherds and farmers to prevent them from accessing their lands. He added that the Israeli forces provide support and protection for Israeli settlers and attack the Palestinians, the rightful owners of the land, to confiscate their lands for settlement construction. 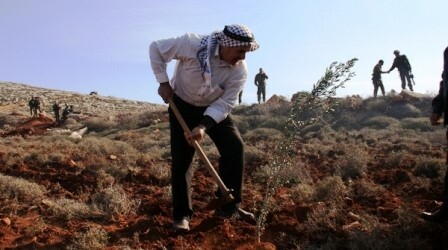 Anti-settlement activists planted on Tuesday around 150 olive seedlings in the village of al-Khader, south of Bethlehem, in what they said was a response to an earlier attack by Israeli settlers who uprooted 150 olive trees from the same plot, according to the activists. 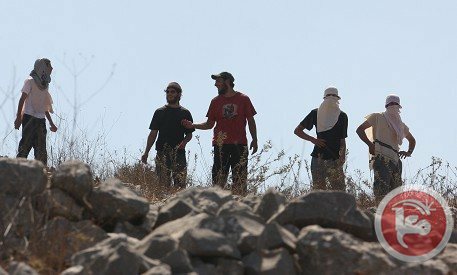 Ahmad Salah, of the anti-settlement campaign in Bethlehem, said settlers attempted to prevent planting the shrubs and engaged the activists in a fist fight but that the activists continued with the planting. Several extremist settlers invaded Palestinian lands and orchards in the al-Khader town, south of the West bank city of Bethlehem, uprooted 150 olive trees, and illegally occupied eight Dunams of Palestinian lands. 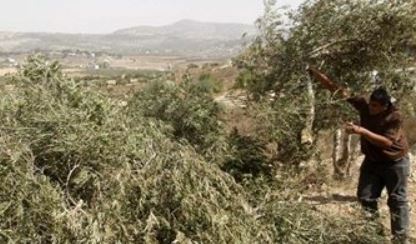 Mohammad Shawqy az-Zayyah, told the Maan News Agency that the settlers uprooted 150 trees he planted in his land two years ago, in addition to uprooting grape vines, located close to an illegitimate settlement outpost, near the Daniel illegal Settlement. He added that, after uprooting his trees, the settlers illegally occupied eight Dunams planted with grape vines and olive trees, also close to Daniel settlement. 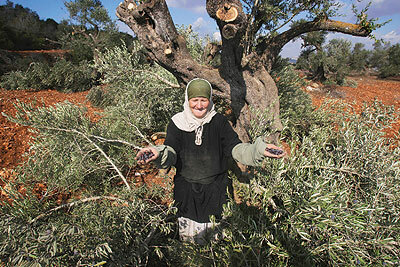 The land belongs to resident Hasan Mousa, and is planted with olive trees and grape vines. In related news, soldiers invaded Palestinian communities, in the northern West Bank city of Nablus, and kidnapped three Palestinians. 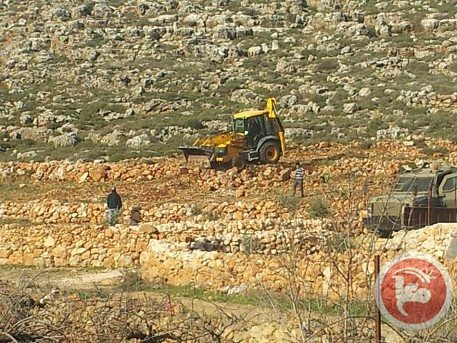 Israeli troops on Thursday morning accompanied bulldozers to the west Bethlehem village of Wadi Fukin where bulldozers destroyed 300 newly planted olive trees, despite locals' attempts to stop them. Head of Wadi Fukin local council Ahmad Sukkar told Ma'an that 50,000 square meters of land were leveled and ancient dry stone walls were demolished by the Israeli forces. Clashes broke out between Israel forces and locals as they tried to defend their lands while bulldozers leveled the fields. Sukkar said that land is private property belonging to Mahmoud Ali Atiyyeh, Ishaq Salih Manasrah, Jamal Mahmoud Atiyyeh and Amin Mousa Atiyyeh. Sukkar added that the Israeli forces had sent warrants to the owners claiming that their private land was Israeli state property. A representative for the Israeli Coordinator of Government Activities in the Territories could not be reached for comment. Israeli authorities regularly declare private Palestinian lands or historically communal lands used by Palestinians in the West Bank as Israeli state land. These lands are frequently confiscated as a result, and portions of these areas are often rezoned later in order to build Jewish-only settlements. Israeli forces started Thursday morning, to raze an agricultural land in Wadi Fokin, west of Bethlehem. 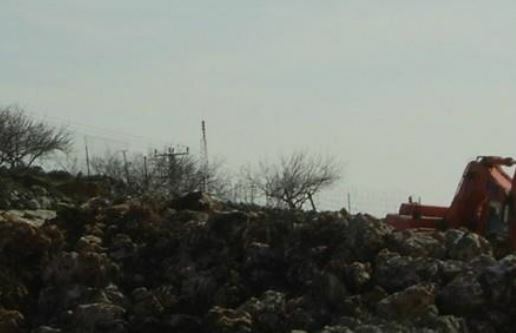 Head of Wadi Fokin village council, Ahmed Sukar, said that Israeli bulldozers started razing an agricultural land in al-Qisma village, south of the village which is adjacent to the Tzour Hadassah settlement. He added that the 5-dunums land is planted with Olive and Almond trees and that these lands belong to Mohammed Ali Attiyah, Issac Saleh Manasreh, Jamal Mahmoud Atta and Amin Mussa Attiyeh. 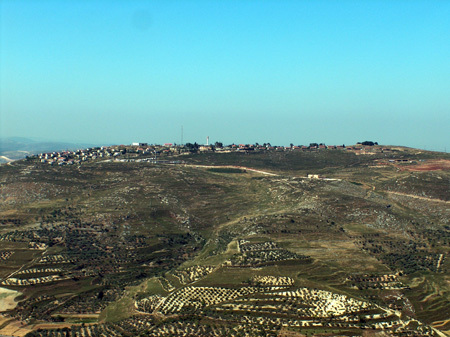 Sukar added that the Israeli forces have previously notified the owners of confiscating their lands for settlement expansion reasons, yet they continued to cultivate their lands. He added that 300 trees will be uprooted during the razing process. Israeli occupation forces (IOF) began on Thursday morning bulldozing agricultural land in the village of Wadi Fukin to the west of Bethlehem. 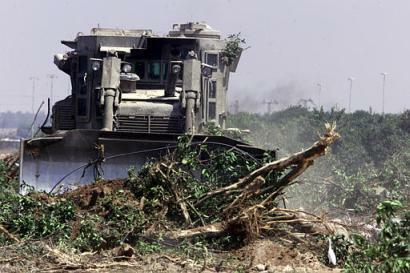 Eyewitnesses said that IOF bulldozers and settlers, guarded by Israeli soldiers, started since the morning hours razing an agricultural land planted with olive and almond trees, in the south of the village adjacent to the settlement of Tzur Hadassah. The Israeli occupation authorities had earlier announced intention to confiscate the citizens' lands. The soldiers uprooted fruitful trees, and are expected to confiscate five dunums of cultivated land. In a separate incident, IOF soldiers on Wednesday night stormed and searched citizens’ houses in the town of Silat al-Harithiya, west of Jenin, under the pretext of searching for artesian water wells, local sources reported. Israeli settlers uprooted over 600 recently planted olive and almond saplings in a village north of Ramallah on Wednesday, a Palestinian Authority official said. 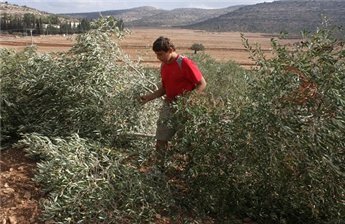 Jewish settlers destroyed 600 olive and almond seedlings in a Palestinian village, south of Nablus city, on Wednesday morning. Ghassan Daghlas, an activist monitoring Israeli settlement activity north of the West Bank, said that a group of settlers came from a nearby two settlements and uprooted the seedlings in Sinjil village. The activist pointed out that the seedlings were financed by the Red Cross within a project to support farmers and were owned by 70 families. Settlers from the two illegal settlements of Ovaegal and Ma'on stormed on Monday, areas east of Yatta village in Hebron and uprooted dozens of olive trees. 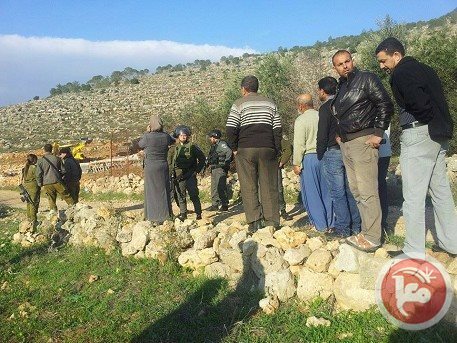 Coordinator of Popular Committee to Resist Wall and Settlement, Rateb al-Jbour, told PNN that the settlers uprooted around 50 olive trees belonging to al-Amour family in al-Shweiha area, and assaulted a number of Palestinian residents. 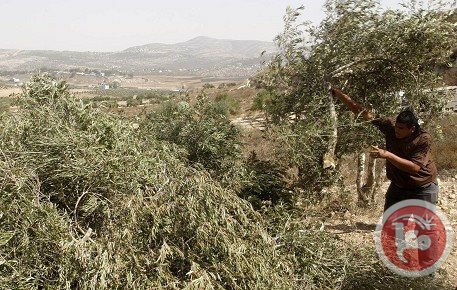 On Tuesday Palestinian villagers from Qusra in Nablus area, held 18 settlers captive after they had tried to uproot olive trees belonging to the villagers. 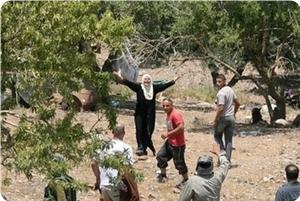 The settlers were later trasfered to Israeli Occupation Forces. The settler were surrounded by the villagers while destroying village property, clashes broke out and the villagers managed to hold the settlers and call for the Palestinian Security Service who transfered the settlers to the Israeli Occupation Forces. The attack took place after the Israeli Administration demolished a building in the illegal outpost of Yesh Kodesh. Amos Harel predicts a rize in these price tag attacks, where extreme right wing israeli settlers attack and vandilize Palestinian property in response to any decision that might slow down the settlement expansions on the West Bank.